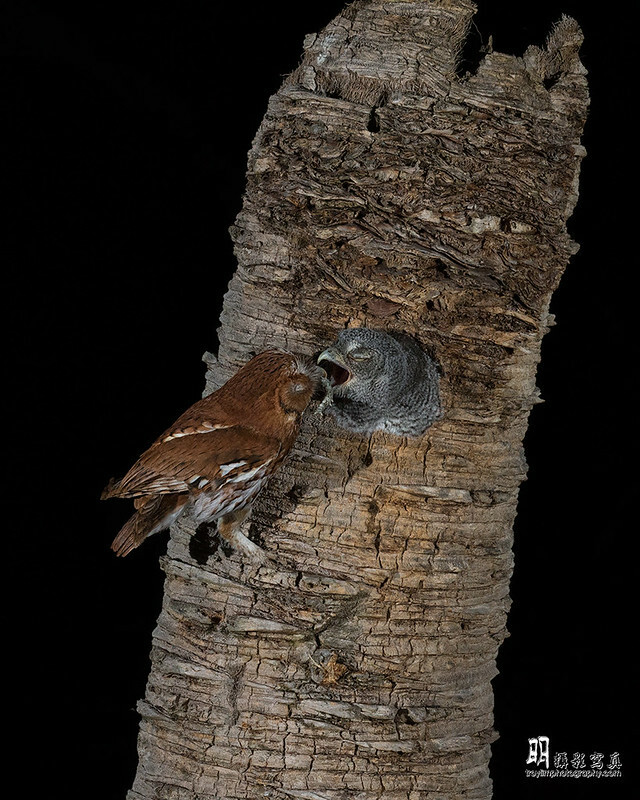 Baby owlet being fed a caterpillar at the nest cavity. Location: The Sky Is Home! Excellent action and behavior, Troy. Really nice action shot. Great flash work.